News from Italian gun magazine "ARMI E TIRO". --- We have received confirmation about the rumors previously heard. 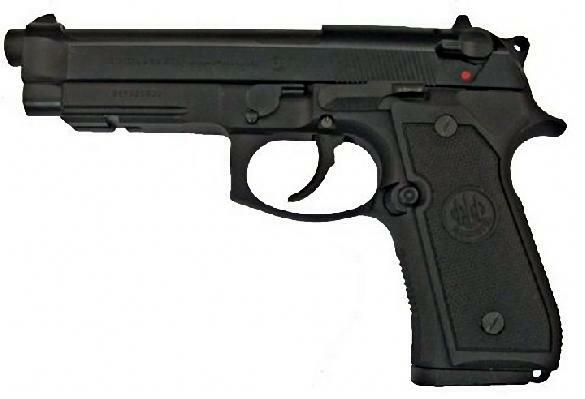 BERETTA has been awarded on 6/10/2005 of a contract by the United States Marine Corps for 3480 Beretta M9-A1 pistols to be issued to USMC duty. The contract also includes 6960 Nickel-plated magazines and 3480 tactical holsters. The weapon itself has an interesting denomination, M9-A1, in fact it is a standard US-M9 (M92-FS) service pistol with a tactical rail added on the dust cover under the rail. Also interesting is the request for Nickel-Plated magazines, probably the USMC found them more resistant to adverse environmental conditions than the standard ones. --- As I said before, don't bet your forces will get rid of .9x19mm and of the Beretta M92-FS so easily and so soon. 3480 tactical M9-A1 pistols are enough to replace the MEU-SOC pistol in USMC service (and, let me remember it to you, the MEU-SOC is in .45-ACP and is a tacticized M1911-A1). Once again, your forces know for the best, and while you keep on jerking about them going back for the old .45, they are just thinking to stick with the NATO standards.